Solar Relief has developed a Portable Power Supply product that can operate a range of electrical appliances using clean energy. Inventor Trent Small lived through Cyclone Yasi and felt the effects of not having access to mains power for a number of days, so he decided to create a system that could provide reliable, clean energy in case of emergency. Solar Relief also provides Safe Houses, powered by the Portable Supply unit, to give people an eco-friendly, safe, strong space that can be deployed anywhere globally. A portable, non reflective, flexible solar panel is sold as an accessory to the housing units and Portable Supply Unit and could be used by campers and people living off the grid, in addition to those needing emergency relief. 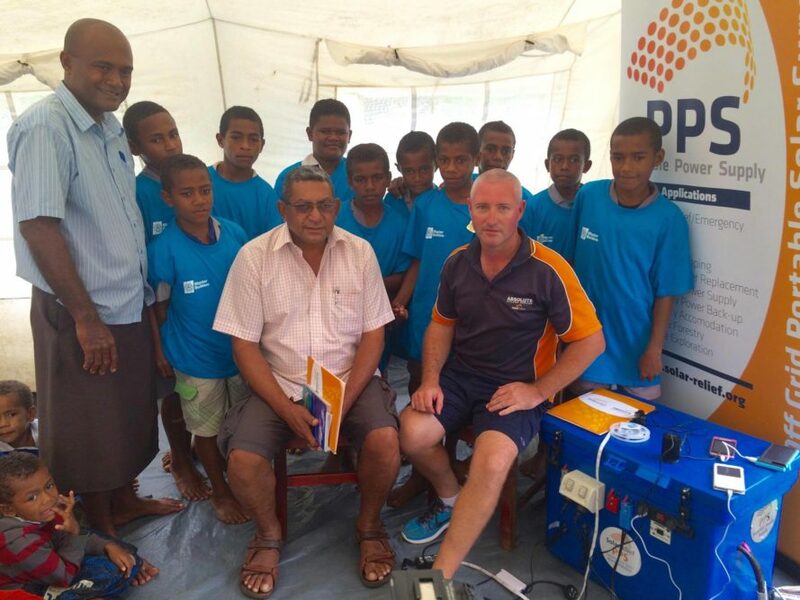 Solar Relief has recently been to Fiji after Cyclone Winston devastated the country and through the help of organizations such as Rotary and QLD Master Builders Foundation, they have been able to provide PPS units to schools and villages which would not have access to power for in the foreseeable future.